This will be a series of lessons due to the amount of material covered. Below is links to each one in case you only need a specific lesson. I hope this helps. So, let’s get on with it! Anyone who knows me, knows that I am very finicky about the action on my guitar, but for good reason. Why work harder than you have to? With a properly tuned and set-up guitar, you will be able to play as good as you are capable without the hindrance of high action strings, bad fret buzz, and bad tuning. I also recommend that you do all of the steps in the sequence that I have them. One step affects the other, so if you do them out of sequence, you may have to redo some steps again. That’s the first step. 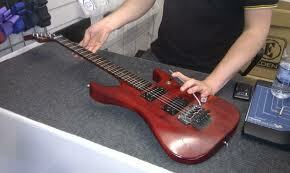 I use extra light strings and tune 1/2 step below standard tuning. 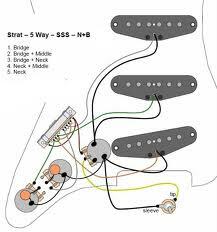 If I was to set up the action on my guitar and then decide to use medium gauge strings and tune my guitar to standard tuning, I would have to start all over on setting up the action. Not only that, but if your guitar has loose strings, the pull on the neck is different. 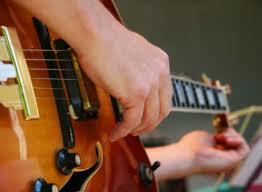 So when you tuned your guitar and started playing it, you wouldn’t get the desired effect that you are looking for. With that in mind, tune up your guitar to whatever tuning you plan to play it in, and remember, if you plan to do any alternate tunings on this guitar, it will affect what you are doing. For example, let’s assume you are going to do a lot of drop-D songs. If you are planning on having a very low action on your guitar, when you loosen the 6th string down to a “D” note, the tension on your neck is less. You may experience fret buzz while in drop-D. My suggestion is that you set-up the action while in drop-D tuning, or raise the action a little while not in drop-D to avoid the possible problem. Of course, there’s no way of knowing if it is going to be a problem until you actually set-up the action and then go to drop-D. If you follow my suggestion, you will avoid having to set-up your action twice. But it’s good practice, so do as you will. I hope that this tutorial is helpful. Obviously everyone can’t think of everything, so if anyone has anything to add, please feel free to leave a comment. Kudos for this post. Extremely entertaining and very well composed blog. I will return incredibly soon.